Verifone's Vx520 Payment Terminal has all of the components you need to process credit and debit cards and it is EMV L1 and L2 and PCI PED 2.0 certified. 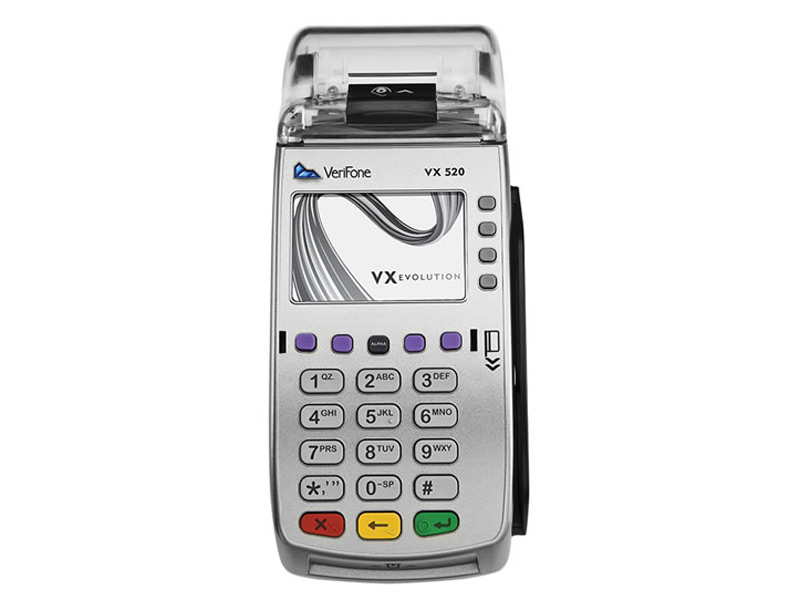 The Vx520 has a back-lit screen and key pad along with a built in receipt printer to make credit and debit transactions easier to process. It's rugged design will protect the terminal from the everyday bumps and spills that can occur in any retail or restaurant environment safeguarding your investment for years. The powerful processor can manage the encryption and decryption processes with ease making the check out process faster to keep your lines moving. The cleverly constructed communication port area neatly connects cables under the device for uncluttered counter tops. 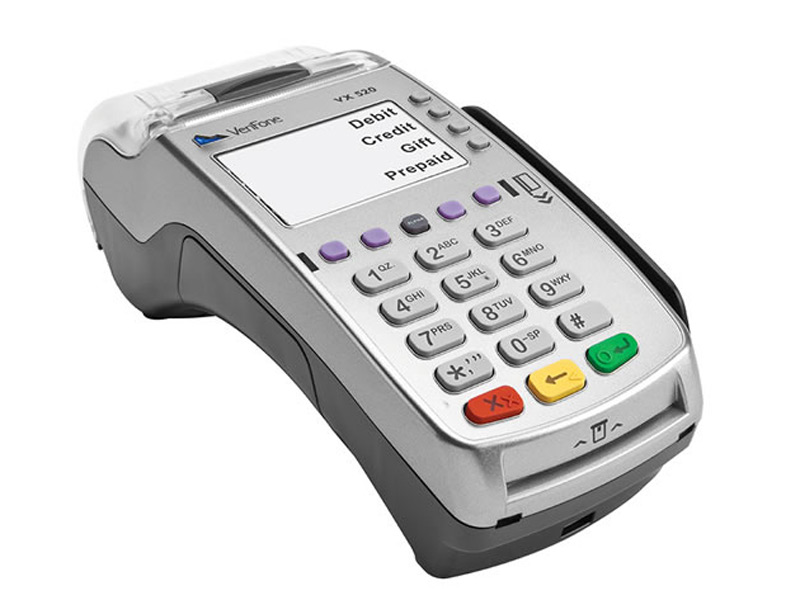 The Vx520 also has a full range of connectivity options, from dial to dial plus Ethernet, with an optional battery in some models to allow the payment terminal to process credit cards from any location. Please Note: A POSGuys sales representative will need contact you via phone, during business hours, before this order can be fully processed. 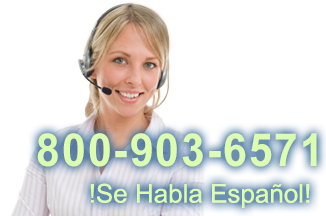 ETA of your purchase can be assessed once the order is fully processed. *Additional Set Up fees and processing fees may apply. Please call 800.903.6571 for more information. Find it faster! Click here to compare Vx520 models by feature. Verifone Vx520 Credit Card Processing Terminal, Grey with EMV and NFC 3.0 Certification, Dial up and Ethernet Connection, 128/32MB, Standard Key Pad, Terminal/Printer/PIN - Requires Key Injection to Process Credit or Debit Transactions. Please call for more information.